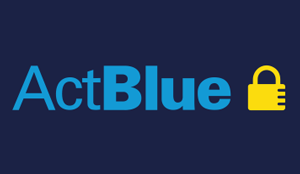 Indiana Democrats held their 2018 State Convention this past weekend where they took the lead in support of women, children, immigrants, and healthcare for all. The vanguard of the Democratic party platform rests in their vision of the state advancing to a place where Hoosiers live in vibrant communities they are proud to call home. Where working families can earn a living wage, provide for their family, and retire with dignity. Where all people can pursue their dreams free from discrimination. This came as a welcome and impressive contrast to the GOP Convention held just days before, where Indiana Republicans doubled-down on inflammatory policy stances, sought to limit personal freedom and liberty, and aligned their policy with wealthy corporations instead of with the people. Democrats nominated an incredibly diverse ticket with Jocelyn Whittaker, a woman of color for State Auditor; John Aguilera, a Latino union worker for the office of State Treasurer; and Jim Harper, an up-and-coming, energetic, and tenacious millennial who is running for Secretary of State. The party also passed a state party platform amendment which makes a clear position for either a complete reform of the ICE agency, or a complete transfer of ICE’s duties to other agencies that are administered under the Legislative branch of government (see attached platform language below). This came in the midst of an escalation of atrocities which we are seeing at our borders and in the continued breaking-up of immigrant families through deportation across the US. The Indiana Democrats have loudly and proudly taken a stand on the side of immigrants and marginalized Hoosiers, by literally giving them a seat at the party table. Indiana, the home of Vice President Mike Pence (we’re still so, so sorry America), is also home to the Indiana Democrats, the FIRST state Democratic party in the nation to officially call for reform and restructure of ICE. 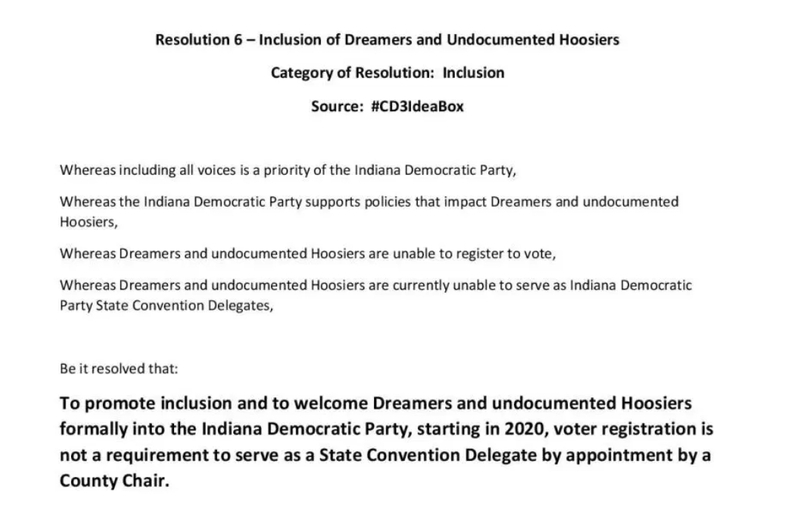 Then the body of Indiana Democrats further progressed by presenting and passing Resolution DR2018-10 to include DREAMERS and undocumented people at the table. In addition to these two notable changes, there were several more resolutions regarding the inclusion of non-binary Democrats in leadership opportunities, adding a Women’s Caucus, adopting the Unity Reform Commission recommendations on Superdelegates, as well as the amending of an ACA focused resolution that now includes Medicare For All. These are HUGE steps forward for the Democratic Party and for the State of Indiana; steps in the direction of inclusion and representation of all people, not just a few. This is a refreshing change from the conservative and repressive bend we normally see in Indiana politics. This cycle of Indiana Democrats is future-focused and ready to GOTV! Volunteer today! Posted on June 20, 2018 June 20, 2018 by Liberal PagesPosted in Education, Important Announcements, Notification, Press Releases, UncategorizedTagged #Action, Change, Democrat, featured, Indiana, Progressive, Vote, Women. 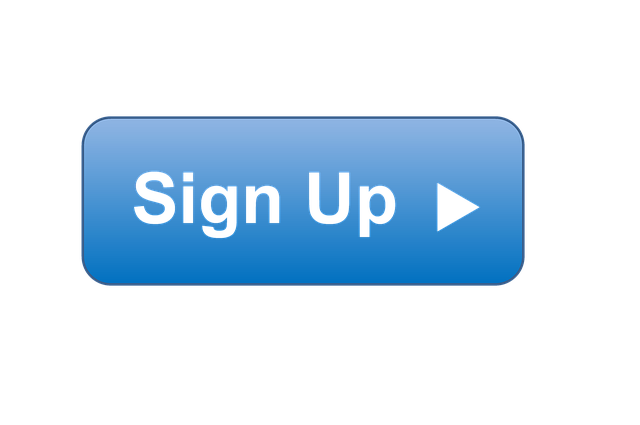 Next Next post: Endorsement Survey Available Now!